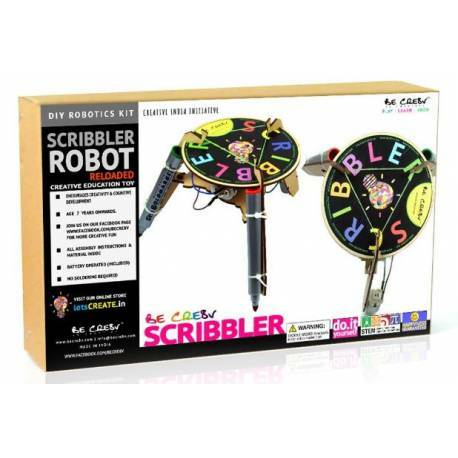 Scribbler Bot is a simple triple armed marker robot that scribbles. 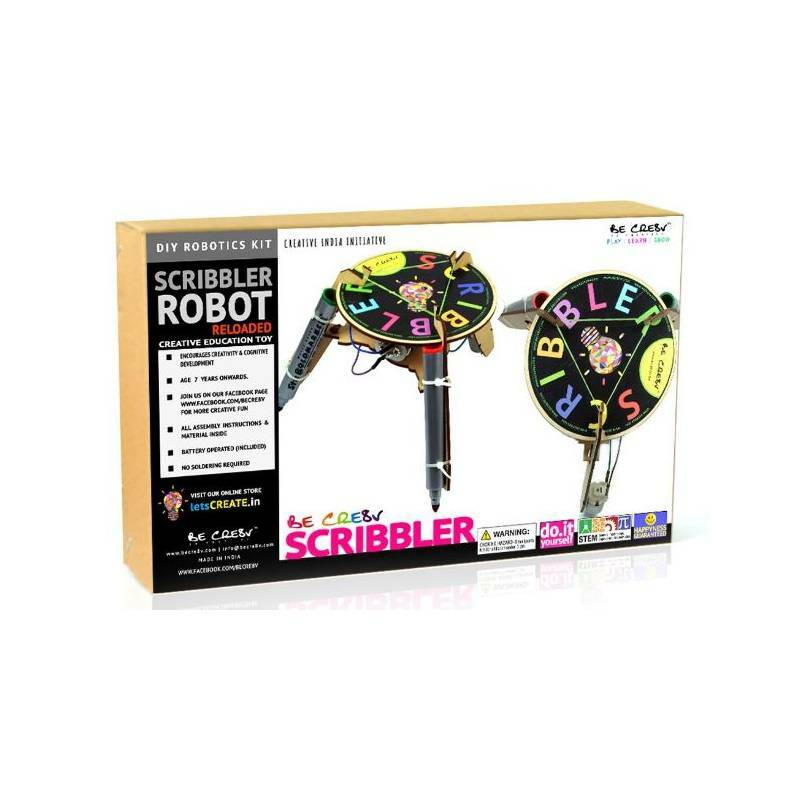 Scribbler is an amazing learning toy to teach children and adults about basic electronics and creative robotics. 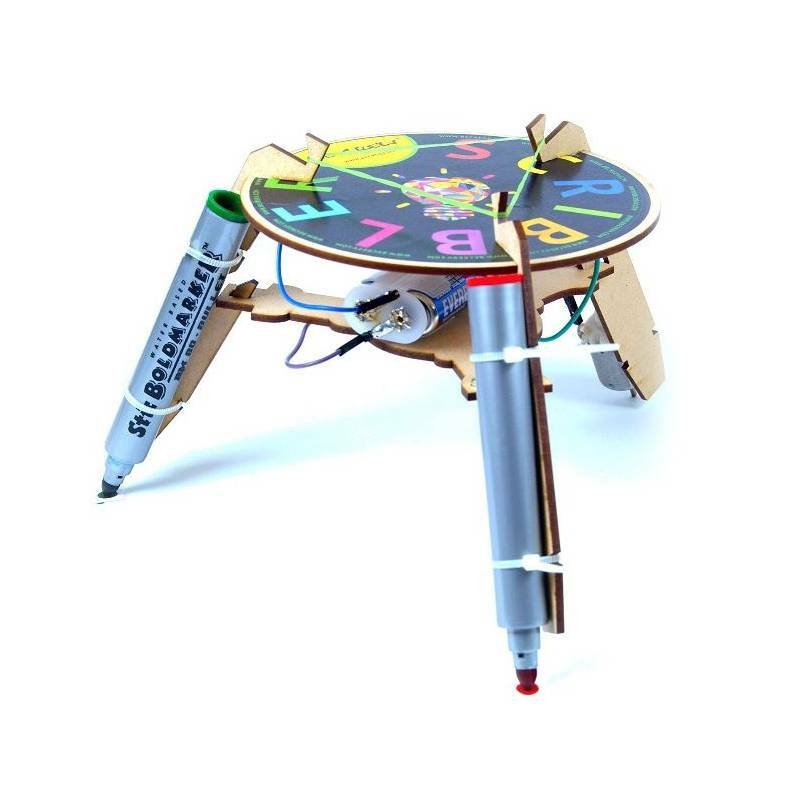 It is an engaging DIY (Do-it-Yourself) kit. 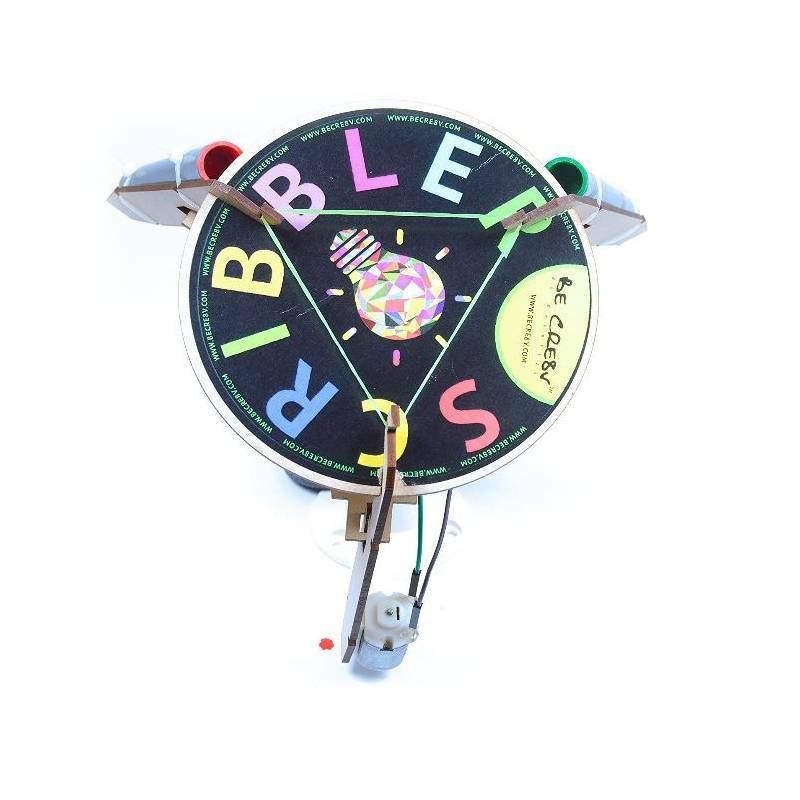 It is a must have for every child. Be creative.